Stomper David was impressed by an honour system utilised by a local coffeeshop near his home at Bukit Batok Street 23. David told Stomp that the coffeeshop has adopted a code where customers pay for newspapers themselves without someone enforcing payment. He added that this initiative was started about six months ago. 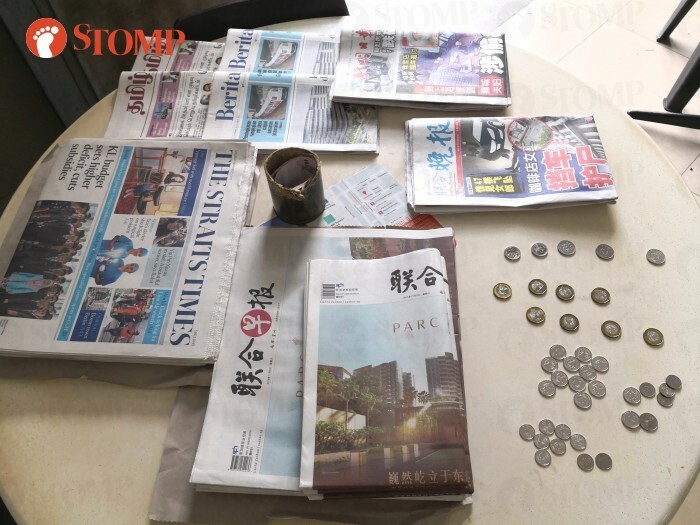 In a photo he took on Saturday (Nov 3), newspapers are laid out on a table. There is a container holding notes and coins are laid out according to their denomination. The system relies on people paying for what they take. "I thought this is very interesting and quite rare," said David. "Perhaps it works because the kind of people working and staying around there are more trustworthy." "I believe that having this kind of honour system civic-mindedness is important for our society. "Hopefully this movement can spread."